Why are we, the "climate alarmists", claiming that climate change is an unprecedented global emergency? Well, anyone can claim just about anything these days, it seems, and the people who are believed are often the ones who say things loudest and most often. But that is not what the truth is about. Something is not true because someone says it loudly and often. A statement is likely to be true if the supporting arguments are convincing and the counterarguments are not. And since climate change is about everything that we do and everything that we value - because everything we do depends on the environment in which we do it - it is perhaps worth stopping for a moment and listening to the arguments of the "climate alarmists". First, just to be clear: I am not going to talk about whether climate change is real, or whether it is caused by human activity. I will assume that the reader has understood that. More here. So far so good. Having said that, there are several reasons why climate change represents an unprecedented global emergency - right now. A human-rights catastrophe. This is the most important point. Climate change will cause hundreds of millions of deaths. Already now, ten million people are dying in developing countries every year in connection with poverty: hunger, curable disease, preventable disease, violence. Without poverty, these problems would have all but disappeared by now. But poverty is not going to disappear quickly, and climate change will exacerbate the death rate. Climate change will have multiple effects that will endanger supplies of food and fresh water. These effects will also interact with each other in unforeseeable ways. Climate change will also increase the rate of violent conflict around the world. If climate change doubled the death rate, it would cause a billion deaths over a period of a century. The effects of climate change are expected to be felt for millennia, making it by far the biggest catastrophe that humanity has every experienced. We are talking about the biggest conceiveable human rights catastrophe, but most people working in human rights are not working on climate change. They are constantly distracted by hundreds of deeply shocking human rights violations that are happening all over the world right now. As deeply shocking as these violations are, they are nothing by comparison to the future effects of climate change. The temporal delay between cause and effect. Climate change is unlike other political problems. Usually, a problem is solved when the cause of a problem disappears. Not so with climate change. Even if all emissions stopped tomorrow, the effect of previous emissions would still be felt for centuries. If you think the weather is unusually warm or hot now, that can only mean that it will be much warmer or hotter in the future, and people in the future will be almost powerless to do anything about it. According to climate models, even if all emissions had stopped completely at 0.8°C of warming, temperatures would have continued to rise, peaking at about 1.2°C of warming. In the future, if all emissions completely stop at 2°C of warming, temperatures would continue to rise to about 2.7°C. The gap between where we are now and where we will inevitably find ourselves in the future is getting bigger. In every such case, it is impossible to turn back the clock and return to where we were. The changes are practically irreversible - by which I mean it is very unlikely that humans will be able to reverse them within a lifetime (or if they are reversed by some kind of geo-engineering, there will be massive negative side-effects). But emissions will not stop at the 2°C mark. With the best will in the world, it will take about another two decades (at 5% reduction per year) to return to zero net emissions, even if half of all people in the world finally realise that this is an unprecedented global emergency and are finally prepared to go to extraordinary lengths to reduce emissions. No matter how hard the enlightened half of the population try during those two decades to solve the problem, they will not be able to prevent about another 1-2°C of warming toward the end of the century, making 3-4°C altogether. During and after that, natural feedback processes will take over, causing temperatures to continue to rise, even after all human emissions have stopped. There are three main kinds of natural climate feedback processes: reduction of reflected energy from ice as it melts, methane release from Arctic permafrost and other sources in the Earth's crust as temperatures rise, and deforestation through drying and burning. All of these are already happening, and all three will get gradually worse as global temperatures rise. As if that is not bad enough, there is a small chance in the distant future of a runaway greenhouse effect, in which the planet's water gradually evaporates and the Earth becomes more similar to Venus. God help our grandchildren, whom we are expecting to clean up the mess in the 22nd century (if there is a 22nd century). The closing window of opportunity. In 2012, climate scientist Clive Hansen explained the idea of a window of opportunity on the basis of climate model predictions. If the world had begun reducing CO2 emissions by 6 percent per year starting in 2012, he claimed, atmospheric CO2 levels might have had a chance to return to the "safe" level of 350 ppm. If the world waits until 2020 to begin, which is what seems to be happening at the moment, it will need to reduce CO2 by 15 percent a year after that to reach 350 ppm. But there is little chance of achieving such a steep economic decline without an unprecedented global economic crisis. Realistically, the chance to limit the temperature rise to 2°C has already been missed, even if most countries have agreed to this limit. A rise of 3-4°C by the end of the century is more likely. But even a temperature rise of 2°C would produce the worst catastrophe in history (more). The numbers quoted in 2012 by Hansen may have been exaggerated but they were not far from the truth. There is no doubt that we are currently in a "window of opportunity" and risk missing that opportunity. The consequences will be hundreds of millions of deaths and unprecedented distruction and suffering. Interdisciplinarity. Climate change is not only a physical problem. Because society has to react to it, and because it threatens the very foundations of society, climate change is also a psychological, social, ethical, economic, legal, and political problem. To know how to react to climate change, we have to understand how those aspects will interact. But how can we know that in advance, before all of this has actually happened? From an academic viewpoint, the degree of interdisciplinarity of the problem is unprecedented. At the very least, you have to know each of the relevant disciplines in depth. Representatives of individual relevant disciplines who know little about the others are likely to underestimate the magnitude of the problem because they neglect effects that are understood by other disciplines. Even if they don't cannot predict how different effects will interact, interact they will. For example psychological effects interact with physical effects, or economic effects interact with political effects. Everything can interact with everything else. Nothing quite like this ever happened before. Passive climate denial. In spite of ever-improving news reports about climate change, passive denial of the problem still almost universal. People may say they believe the predictions of the scientists, and they may claim to be taking those predictions seriously, but they don't behaveas if they believed them. Most people are continuing to live their lives as if nothing has happened, heating their poorly insulated houses to high temperatures in winter, using too much air conditioning in summer, driving cars unnecessarily, flying in airplanes unnecessarily, and voting for politicians who don't care about climate, but are instead supporting the fossil fuel industry. These simple, apparently innocent acts will have devastating consequences for our children and grandchildren. The few people who really care have little idea how they are going to motivate the vast majority who don't seem to care at all. It seems that most individuals will not do anything significant about climate change until they experience it directly, first-hand. We need to experience it as a personal threat before we do anything. Before that, the whole thing is just too abstract. The trouble is, by that time it will be too late to prevent an unprecedented global catastrophe. Mistrust of science.In the absence of air resistance, a heavy ball and a light ball fall with the same speed. When Galileo made this claim in the 17th century, people did not believe him. When they saw it happen, they thought it was a trick. Today, you can be sure that if you climb the leaning tower of Pisa and drop those two balls, they will accelerate at the same rate and land at the same time. Moreover, you will believe it in advance, and you will understand that this is simply the way the world works. No problem. Today, scientists know that if humanity allows global temperatures to rise by 4°C, natural feedback processes will take over and the result will be the greatest catastrophe humanity has every experienced, perhaps leading to human extinction. Like people in Galileo's day, we don't believe it until we see it, and even if we see it happening (there are already constant reports in the media about the effects of climate change, and everyone is regularly experiencing unseasonably warm weather), we still don't believe it. Even if the predictions of the scientsts were only true with a probability of 10%, the problem would still be today's most important problem by far, because we are talking about hundreds of millions of premature deaths. Like Galileo's experiment, this is not a magic trick, nor is it some kind of message from God or some other supernatural being. It is simply the consequence of human behavior and human decisions for which we are collectively responsible. But we don't believe it. The impotence of politics. Many people think that after the landmark 2015 climate conference in Paris the international community has the matter under control. Nobody doubts that the meeting was a great step forward. But the agreements made there cannot be legally enforced, and even if they could be, they would be insufficient to prevent a global disaster later this century. In their desperation to reach a politically viable agreement, the politicians even distorted the message of the climate scientists, and the climate scientists accepted the distortions. Here is an example: In 2013, climate scientist Thomas F. Stocker published a short article in Science, one of world's most respected and prestigious academic journals, entitled "The closing door of climate targets". 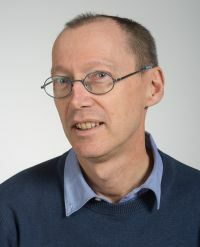 Citing research by den Elzen and colleagues that the fastest economically feasible global rate of emissions reduction is about 5% per year, he explained that the last chance of reasonably limiting global warrming to 1.5°C was in 2012. Since then, the 1.5°C target has been practically "unachievable". Similarly, if things continue as they are, the 2°C target will become unachievable by 2027. This is not a radical claim; probably most climate scientists agree in principle that the chance to limit the increase to 1.5°C is long past, otherwise Stocker's article would never have been published in such a journal. But in Paris the international community agreed to "aim" to limit the increase to 1.5°C. This news was broadcast around the world, into every living room, giving people the impression that it is still possible to limit warming to 1.5°C. This misinformation motivated people to relax and continue business as usual. It reinforced passive denial. Most people are still in wait-and-see mode, thinking there is no need to change anything until things get more serious. But things are much more serious, and have been for a long time. Most people either don't realise this or are ignoring the problem. That is why climate change represents an unprecedented global crisis. The impotence of democracy. Let's consider what might happen in an ideal democratic society. (We don't have that, unfortunately, but it is interesting to consider what would happen in we did.) In that case, the necessary changes would only become politically possible if over half the population realised that this is an unprecedented emergency, and massive changes must be made immediately. That half could then win any election or referendum, ensuring that the necessary changes became reality. Those changes would include personal changes and sacrifices by everyone who is contributing significantly to the problem, which (depending on what you mean by "significant") is again perhaps half the world's population. But that is the problem: people don't want to make sacrifices, not even for their children. The chance of such a proposition being favored by the majority is slim. Perhaps a global temperature increase of about 2°C will be necessary to induce a significant response from the average person. You can read more about what we might read in the news at the time here. The trouble is, by then it will be too late. That is why climate change is a global emergency right now, even though warming is currently "only" 1°C relative to pre-industrial mean global temperatures. Those are some of the many reasons why we are facing an unprecedented global emergency. Each point would be enough by itself to use the expression "unprecedencted global emergency". The combination of points makes the emergency even more urgent. If you look through the list you see that the emergency is not primarily about science or its purported uncertainty, according to the deniers. The emergency is not even about the climate itself. It's about people. We are too basically too evil or stupid to solve the problem. Sorry to be so direct, but what could be more stupid than destroying your whole world, and knowing all along that you are doing it?